This months board game from Asmodee UK Blogger Board Game Club was called Timeline. 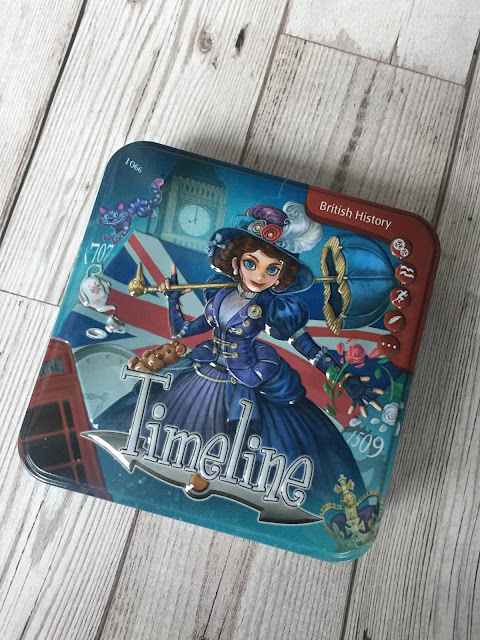 Its a game about British history and it is small cards placed in a real icon British designed tin. I like the tin idea because it will last longer than a cardboard box. 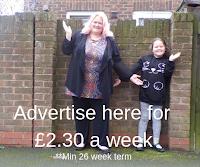 The game is small so its ideal to take away on holiday or to a friends house. The idea is that you get given 4 cards and you put them on the table with the date side down. Then you place the rest of the cards on to a pile in the middle of the game. 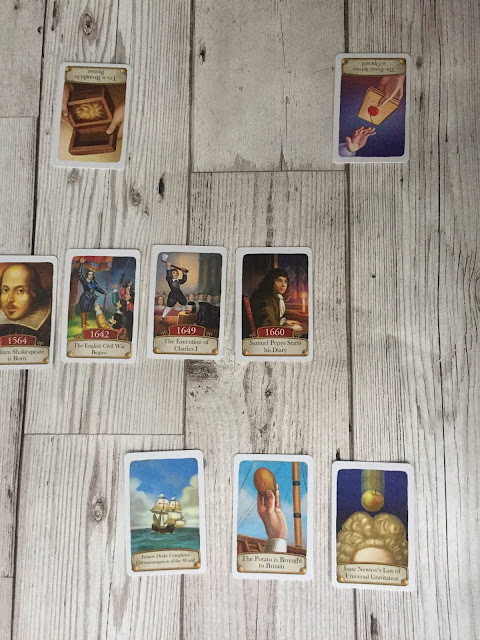 Someone turns over the first card on the pile so that the date side is visible, the first player takes the card off the top of the pile and has to decide whether one of their cards comes before or after the card on the pile. if it goes before the initial card on the pile, then you pop your card to the left and if it comes after, then you pop it to the right. 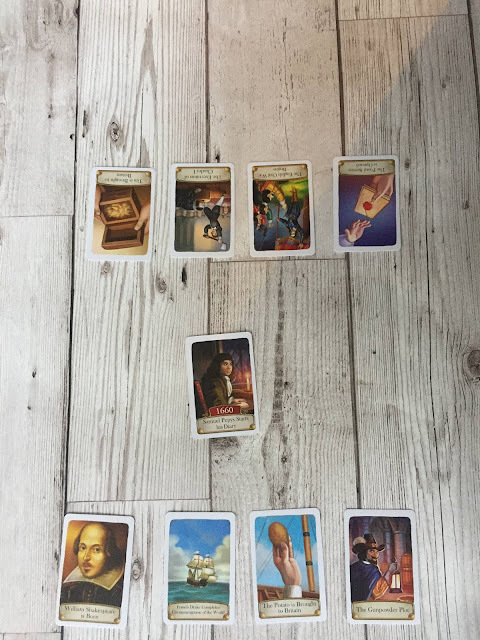 Turn the card over and see the date that it has on it, if you're right, then the card stays there but if you're wrong then the card goes to the bottom of the pile and you take a fresh card from the top of the pile. My history isn't so good, it seems! The next person then takes a turn, they follow the first player by seeing if their card is before or after the two cards on the board. So it could fit between the two cards. If the second player has placed it correctly, his/her turn is over and there will now be three cards on the table with the dates showing. The game carries on until all of the cards are placed from a player, they are declared the winner. This game is a good game to help kids educationally but I just couldn't on with it with Tilly. She is 8 years old and most of the things on the Timeline game had not even been taught to her yet. Even Kim and I struggled to get into the game. The instructions are printed on a booklet that is dark and made some of the instructions difficult to read. The game does only last about 15 minutes, so its a quick one to play. 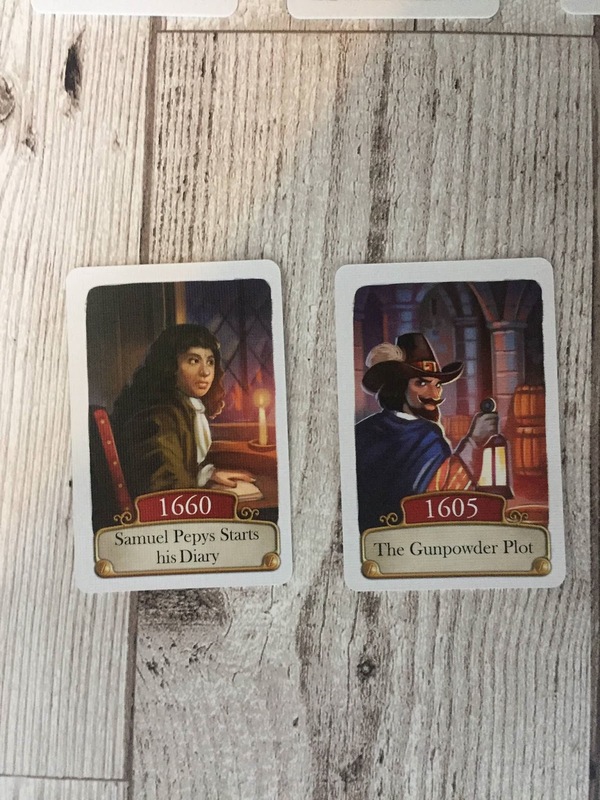 The game is for people aged 8+ but I think it would be better for children quite a bit older, maybe 10 or11 years old, who has a bit of historical knowledge. 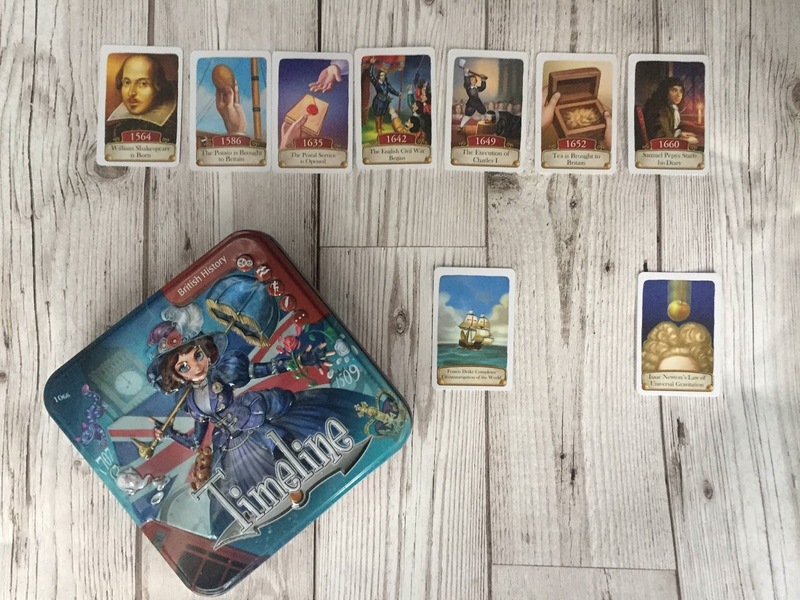 She has learnt about different historical periods but she wouldn't know where to put them on a timeline of events. 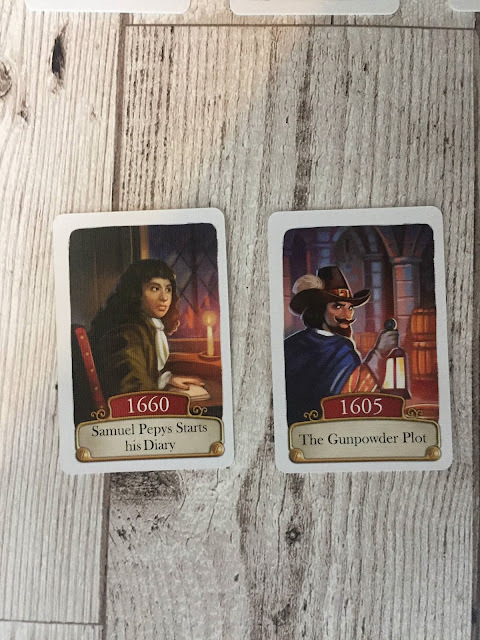 The game is £13.95 from Asmodee on Amazon and is a good game for a child interested in history and one that has covered the history in the past but I feel its for older children than 8 years old.